The operation was supposed to train 5,000 rebels a year. 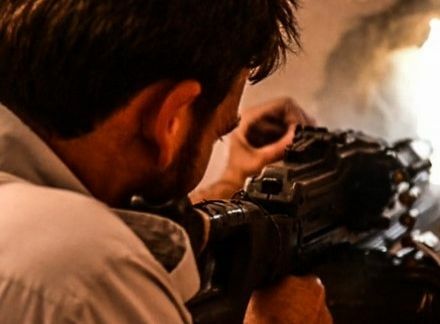 Of just 54 rebels trained, only four or five fighters remain in September 2015.1 The US program to arm moderate opposition groups in Syria has come to widespread public attention after numerous presidential candidates have criticized its failures. For at least two years, the Syrian opposition program was at the heart of United States policy towards Syria. These rebel groups also played an important role in U.S. efforts to fight ISIS on the ground in Syria. But the operation was always fraught with difficulties and weaknesses. If the United States is honest, it must realize that half-measures will never achieve a US-friendly victory in the war-torn nation. Since the United States will remain unwilling to commit to a full military invasion of Syria, it should recognize the impossibility of success under current strategy and remove its support from the opposition groups. The Syrian conflict erupted in 2011 in response to the Assad regime’s arrest and torture of teenagers who painted revolutionary slogans on a school wall. As protests mounted and revolutionary groups formed, the nation devolved into chaos and violence. The conflict left at least 220,000 dead by March 2015. Because of the fighting, the nation has become a breeding ground for radical terror groups like al Qaeda and ISIS. In fact, the chaos in Syria was the primary factor leading to the creation of ISIS. Countering these extremist groups on the ground has been a top US priority since early 2013.2 As of December 2013, an estimated 1,000 opposition groups, collectively composed of more than 100,000 fighters, operated in Syria.3 Jabhat al-Nusra, an extremist faction working closely with Al-Qaeda, has gained popularity and dominance on the ground in Syria. Since mid-2012, the vast majority of Syrian insurgency has been coordinated closely with Al-Qaeda affiliates. These measures have been effective against the Assad regime.4 In the overall balance of the war, however, radical groups have gained a dramatic upper hand over their more moderate counterparts. Both CIA and Pentagon training programs have been fraught with difficulties since their inception, including low arms shipments, recruiting complications, and a poor understanding of rebel motivations. BBC News. “Syria Crisis: ‘Only Four or Five’ US-Trained Syrian Rebels Are Still Fighting.” September 17, 2015. Accessed September 22, 2015. http://www.bbc.com/news/world-middle-east-34278233. BBC News. “Syria: The Story of the Conflict.” March 12, 2015. Accessed September 28, 2015. http://www.bbc.com/news/world-middle-east-26116868. BBC News. “Guide to the Syrian Rebels.” December 13, 2013. Accessed September 22, 2015. http://www.bbc.com/news/world-middle-east-24403003. Lister, Charles. “Are Syrian Islamists Moving to Counterbalance Al-Qaeda? Will It Last?” Brookings Institute. March 23, 2015. Accessed September 22, 2015. http://www.brookings.edu/blogs/markaz/posts/2015/03/23-syrian-islamists-balancing-with-alqaeda-lister#.VRAdH_CNINE.twitter. Banco, Erin. “US Stops Flow Of Weapons To Moderate Syrian Rebels, Considers Vetting New Groups In South.” International Business Times. November 18, 2014. Accessed September 22, 2015. http://www.ibtimes.com/us-stops-flow-weapons-moderate-syrian-rebels-considers-vetting-new-groups-south-1725240. Lead Inspector General for Overseas Contingency Operations. “Operation Inherent Resolve.” Department of Defense. June 30, 2015. Accessed September 22, 2015. http://www.dodig.mil/IGInformation/archives/LIG_OCO_OIR_Public_8192015.pdf. Ahmed, Akhbar. “Only ‘4 Or 5’ U.S.-Trained Rebels In Syria? Not Exactly.” Huffington Post. September 16, 2015. Accessed September 22, 2015. http://www.huffingtonpost.com/entry/four-five-fighters-pentagon-syria_55f9ad27e4b0d6492d63ed49. Lister, Charles. “Increasing Military Assistance to the Syrian Opposition? Some Ground Truths.” Brookings Institute. April 3, 2014. Accessed September 22, 2015. http://www.brookings.edu/research/opinions/2014/04/03-military-assistance-syrian-opposition-lister. Entous, Adam. “Covert CIA Mission to Arm Syrian Rebels Goes Awry.” The Wall Street Journal. January 26, 2015. Accessed September 22, 2015. http://www.wsj.com/articles/covert-cia-mission-to-arm-syrian-rebels-goes-awry-1422329582. Gibbons-Neff, Thomas. “Report: U.S. 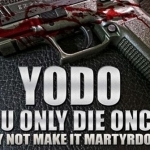 Contractor Tried to Arm Syrian Rebels with Defective Grenades.” The Washington Post. September 18, 2015. Accessed September 22, 2015. https://www.washingtonpost.com/news/checkpoint/wp/2015/09/18/report-u-s-contractor-tried-to-arm-syrian-re els-with-defective-grenades/. Stein, Jeff. “Inside the CIA’s Syrian Rebels Vetting Machine.” Newsweek. November 10, 2014. Accessed September 22, 2015. http://www.newsweek.com/2014/11/21/moderate-rebels-please-raise-your-hands-283449.html. McDonnell, Patrick, and Nabih Bulos. “U.S. Again Turns to Syria’s FSA Rebels, Despite Known Problems.” Los Angeles Times. October 26, 2014. Accessed September 22, 2015. http://www.latimes.com/world/middleeast/la-fg-syria-fsa-20141026-story.html#page=1. The Economist. 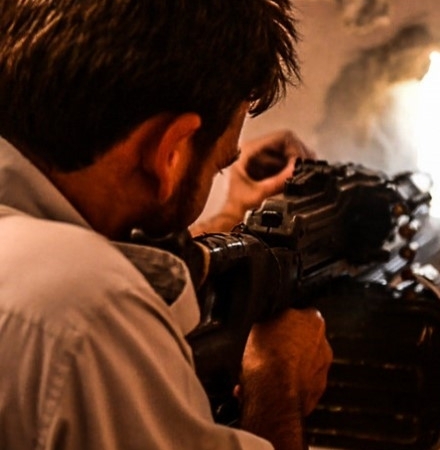 “The War in Syria: Rebel Atrocities.” October 13, 2013. Accessed September 22, 2015. http://www.economist.com/node/21587959. Ashford, Emma. “Russia Raises the Stakes in Syria.” Cato Institute. September 15, 2015. Accessed September 22, 2015. http://www.cato.org/blog/russia-raises-stakes-syria. Laub, Karin. “Despite ‘Record’ Amounts Of Aid, Syrian Refugees Still Struggling: UN.” Huffington Post. September 20, 2015. Accessed September 22, 2015. http://www.huffingtonpost.com/entry/syrian-crisis-has-gotten-record-amounts-of-aid-but-its-still-not-enough-un_55ff021ce4b0fde8b0ceabb6. U.S. Congress. House. Committee on Committee on Foreign Affairs. The Growing Strategic Threat of ISIS. 114th Cong., 1st sess., 2015. H. Rep. 17.